It’s so easy and yet so hard to figure out when upsets are “legit” in CS:GO. The line between a bad day in the office for the top contenders and an inspired carry performance by a player on the underdog side may be blurry enough, but the question whether a team has truly established itself as a top ten unit for good is usually easier to answer simply because it’s such a rare occurrence. Have the Finns managed to make it happen? The keyword is consistency – and the steady stream of top-tier events with their involvement washes away many of the usual excuses given to up-and-coming talent. There’s no time to cool off and no recovery period to heat up – and wherever they may end up in the long-term rankings, they’ve already got a compelling story for themselves. CS:GO is no stranger to one-off triumphs: from the major titles of Gambit and Cloud9 to North’s win at DreamHack Masters Stockholm last year, the stars do occasionally align for the underdogs, culminating in an unexpected victory. In most cases, the short-lived ascendancies revolved around powerful performances from individual players or a minor innovation that quickly gets figured out. It makes sense why those revolutions tend to flame out as the form of the player in question either regresses to the norm or he gets snapped up by one of the bigger sides. This is why it’s extremely rare to see a team manage a permanent increase in stature without external investment (read: multiple roster changes) – and when it does happen, it revolves around a strong tactical setup instead of mad fragging. Of course, the latter also helps a lot: Gabriel “FalleN” Toledo’s evolution from interesting outsider on Keyd Stars to CS:GO juggernaut had a lot to do with the Marcelo “coldzera” David pickup, but it was his top-tier IGL work that made their results sustainable for so long. 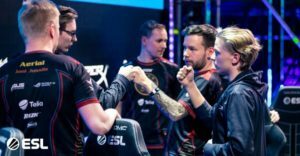 In contrast, mousesports’ growth spurt last year was more akin to a perfect storm, and it’s no wonder that they’ve identified karrigan’s addition as the most likely way to replicate it. 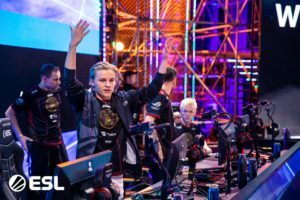 ENCE’s Cinderella run at the major was underpinned by inspired individual performances from otherwise non-notable players like Sami “xseveN” Laasanen, which meant that there were legitimate questions to be asked about their long-term prospects. Now with three events in a row where they measured up well to the top teams of the world – though not without a few wrinkles, of course – asking whether ENCE are in the top ten feels like a mere academic exercise. Lest we forget: they’ve won the previous iteration of this very tournament, though it was a field of greatly diminished stature compared to what we’re used to at StarSeries. Every success, total or relative, adds one more reason to re-contextualise previous events from their meteoric rise. Looking back at it, it’s also a logical point to treat as the catalyst for thing to come. Their steady growth is evident over the course of the last year, even if the path was filled with question marks from an outside observer’s perspective along the way: for instance, mousesports’ embarrassing defeat to them at Cologne last year feels a little bit less obscene now that we see their respective trajectories from that point on. The real question is how far up the ladder they’ve got so far and where they can potentially end up. Especially in the current meta and Astralis-dominated environment, they provide credible proof that strong comms, coordination and a solid team foundation can propel a team into top ten contention by themselves. Their rematch with Na’Vi in the StarSeries quarter-finals on April 6 will also provide yet another crucial data point for analysis – though regardless of the result, a side-by-side comparison with the CIS side already points out how strong the foundations are for the Finns. A young core of players with no individual player carrying them to the business end of the various CS:GO events: with every passing day, their victory over s1mple and co. at the Major looks less and less like a David-versus-Goliath story and more akin to a lean startup running circles around a massive business stuck in its old ways. Upsets are legitimised by repeat performances. Underdogs shed the mantle by winning over and over again. There are no ifs and buts needed when judging ENCE’s 2019 showings so far. It’s that easy – and by that, I mean it’s incredibly difficult.